It was an evening that we look for generally – the coming of the great creative minds together! 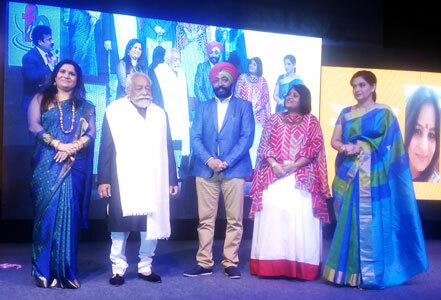 As we entered the hall, the sight of a few distinguished figures from the food industry met our eyes – the likes of Chef Imtiaz Qureshi, Chef Harpal Singh Sokhi, Chef Pankaj Bhadouria, among a few who were there to make the evening a special one. 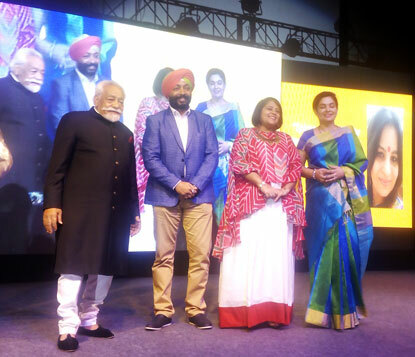 The stage was set for an illustrious evening at Hyatt Regency, Gurgaon that in a while would see the unveiling of the Food and Beverage Buzz magazine in the presence of the august guests. 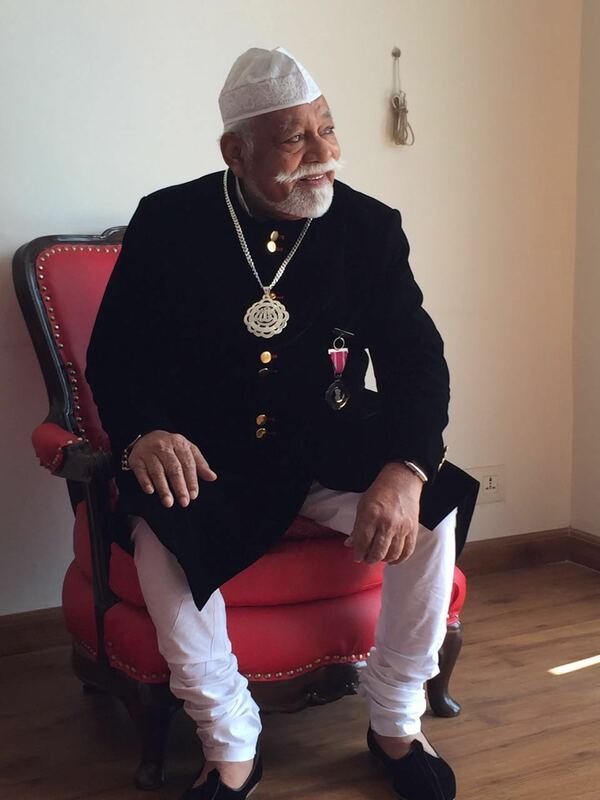 Though a few other big names could not make it to the event, the presence of the legendary, Padma Shree Awardee Chef, Imtiaz Qureshi was like a dream come true for everyone, who got the opportunity to meet him in person. 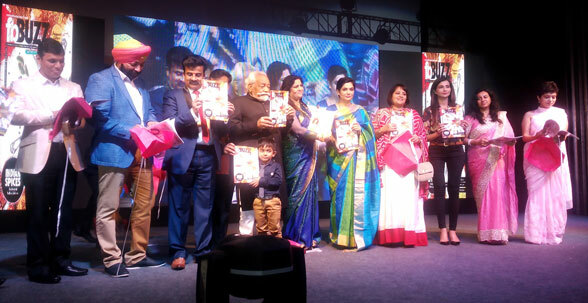 The event started with the felicitation of Chef Qureshi and according a warm welcome to the other the special guests present that, besides Chef Harpal Singh Sokhi and Chef Pankaj Bhadouria, included names like Chef Smita Dugar, Psychologist Dr Nisha Khanna, Dietician Shubi Husain and IVF Specialist Dr Kaberi Banerjee. The guests later took to the stage to speak on how the food industry has evolved over the years in the country and that with cooking getting glorified as a profession, how it is no longer restrained to the kitchen any longer. Indeed, it was great listening to everyone live who took this industry to such great heights. Another attraction of the evening was the cultural dance performances representing different states of India, that were planned to turn the evening into a special and an entertaining one. Making it even more special were the food and snacks from each of the states served to the guests that accompanied the dance performances. For instance, while getting entertained watching the dance troupe representing Gujarat performing on the stage, the guests also got to relish the delicious Dhokla that made the experience for everyone a more amusing one. The entertainment quotient was further raised with the participation of states like Punjab, West Bengal, Rajasthan and Goa, accompanied by the food that they are most famous for. 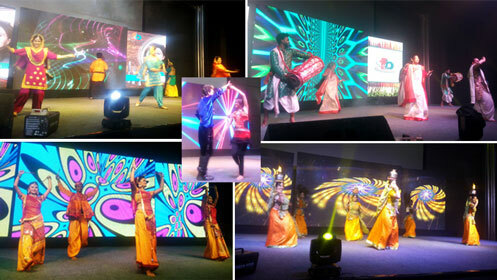 The cultural function was soon followed by the unveiling of the F&B Buzz magazine, with which the event came to an end. 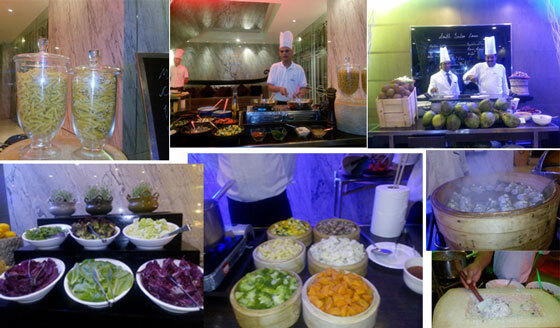 However, the evening still did not end as the flood gates for enjoying the best food had just begun for food lovers. Hotel Hyatt Regency being the Hospitality Partner to the event knew how to bring the evening to a successful end with aplomb – by serving the best variety of food. The food that was laid out before the guests was so enormous in variety that it would satiate the desire of anyone who has a craving for good food. From South India to Awadhi to Chinese and Italian, the menu served every taste bud that looked up to with great expectations. The dessert section left us even more awe-struck; if care had been taken to work out the menu for the main section in details, the dessert section was in no way less than it. 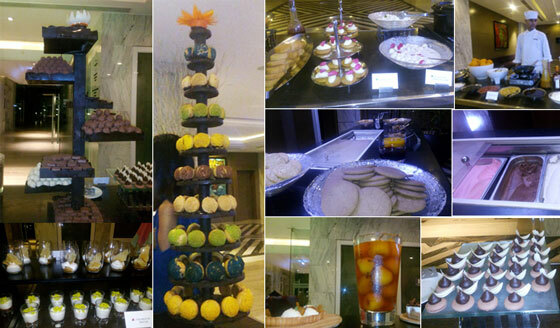 The large varieties in sweets, chocolates, brownies and puddings left many spoilt for choice. It was indeed getting difficult what to eat and what to skip. 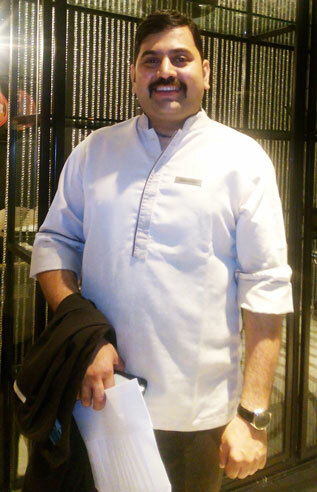 The event was special for yet another reason – Hyatt Regency has timed the occasion to arrange the first meetup with Chef Jayanandan Bhaskar, who had been newly appointed to explore the authentic Awadhi cuisine in the soon-to-be-launched Lavana restaurant. Chef Jayanandan also happens to be the first runner up of Amul Masterchef India in Season 1. After being acclaimed as a great cook on the show, he got to work with Chef Kunal Kapoor together at Hotel Leela Kempinsky, Gurgaon. Having run fast food joints before joining Masterchef India, the chef has had a long association with food, but he has mastered the skills of a seasoned chef only after working under such big names. “I myself am surprised when I see the course that my life has taken. But I know this is a result of sheer dedication and hard work. And I would remain ever grateful to my mentors for that,” he told us. 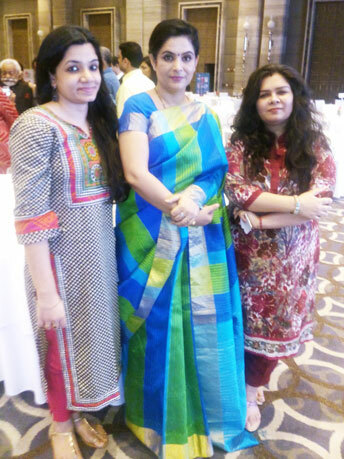 Well, it was an evening well spent, amidst familiar faces and some of the great names in the industry. It also drove home the message that – it is never impossible to achieve that dream if you have the passion, but even more important is the fact that you should have the courage to Dream BIG! 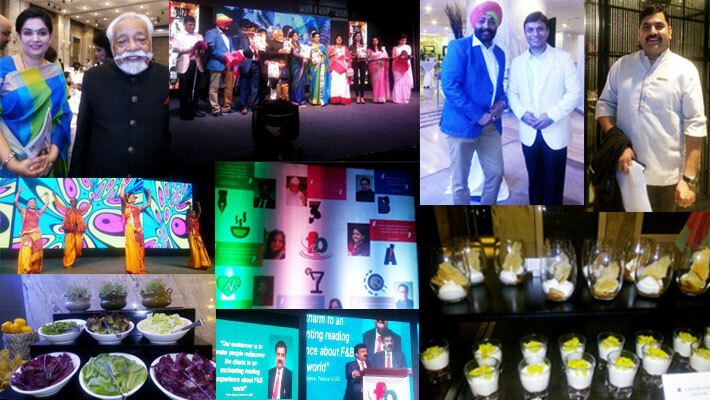 Share the post "From Food to Culture – the Evening at Hotel Hyatt Regency, Gurgaon had Everything to Boast for!"